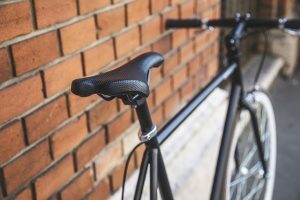 If your bike has the wrong seat, you’ll realize very quickly that a good bicycle seat is important if you are going to ride regularly. With the wrong seat, even the shortest or smoothest ride can be a painful experience. So how do you know the difference between a good seat and a bad seat? A bicycle seat can differ between any two people, and it will be different especially between men and women. Our anatomies in the lower torso are made for different purposes, and it’s pretty safe to say that none of them include bike riding! To be honest, the perfect bicycle seat has not yet been designed. But the good news is that some seats are much better than others. The biggest mistake that occasional riders, especially the elderly, make, is to buy a bicycle seat that is bigger and better cushioned. The problem is that bigger seats increase friction and contact so the only result you’ll get from a bigger seat is bigger discomfort. Rather get a smaller seat; the objective with a bicycle seat is to make the contact area between your bum and the bicycle seat as small as possible. You do have some options with cushion seats. There are many comfortable, streamlined bicycle seats available, especially those designed with the bumps of mountain bike riding in mind. A svelte seat can be combined with some very nice and unobtrusive cushioning that will be positioned right where you need it. There are a lot of bicycle seat designs that are intended to account for the anatomical differences in men and women. The flare of a woman’s bicycle seat is a little bit wider to allow those contact points and their cushioning to hit where a woman’s anatomy requires it most. Other options are bicycle seats made with various openings in the middle which help to decrease painful prolonged contact with male or female genitalia. Before you make the final decision on a bicycle seat, it’s best to try a few out before you commit to purchase one. Shop at a reputable bike shop where you can ask the employees for advice. Most shops will allow you to take the seat home and try it on your bike.